Nearly 50 new wines have been presented at the XIth edition of the Wine Vernissage. Visitors had the opportunity to taste new flavors and enjoy them on the favorite in a dreamlike atmosphere. The event gathered dozens of tourists who were excited to taste Moldovan wines. Some companies have attended the vernissage for the first time. The winter edition of the Wine Vernissage is dedicated to wines and champagne. Among the 50 new products presented, a sparkling alcoholic strength by 7 percent has been released. The drink was produced for the ladies. Some manufacturers have tried to impress the audience with a sparkling novel. Visitors were delighted by the opening. Guests from abroad remained impressed by our wines. The edition was dubbed "Magic Vernissage". "There are several events where magical happens and it comes from the fact that here are 200 wines, 37 wineries. Nowhere in another place in Moldova, such a diversity is provided" , said the organizer, George Arpentin. The event was supported by the Agency for International Development of the United States, through USAID Competitiveness Project Moldova. 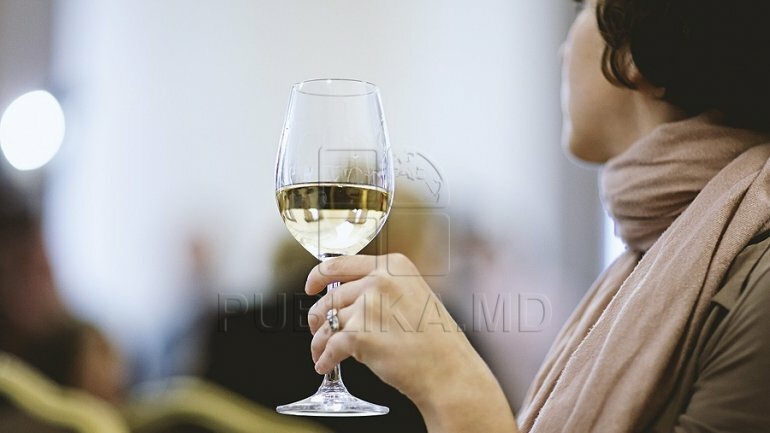 "The Wine Vernissage has greatly increased, at the eleventh edition we can say that the number of visitors has doubled, the number of tickets sold has doubled" , said USAID representative Diana Lazar. Visitors participated in contests and interactive activities. National Vine and Wine Office to organize "Magical Vernissage"